Helmsdale Station is a working railway station on the Far North Line 100 railway miles, 70 road miles, north of Inverness. During 2013 the listed station building was restored and refitted after more than 20 years out of use. The old stationmaster’s accommodation has been refurbished and adapted as self catering accommodation. As a non profit making community project to promote tourism in East Sutherland, all proceeds go to station improvements, promoting the Far North Line and assisting community projects in and around Helmsdale. The restoration of the building was made possible by grants from Highland LEADER, the Railway Heritage Trust, the Stations Community Regeneration Fund, the East Sutherland & Edderton Ward Discretionary Grant Fund and Highlands & Islands Enterprise. 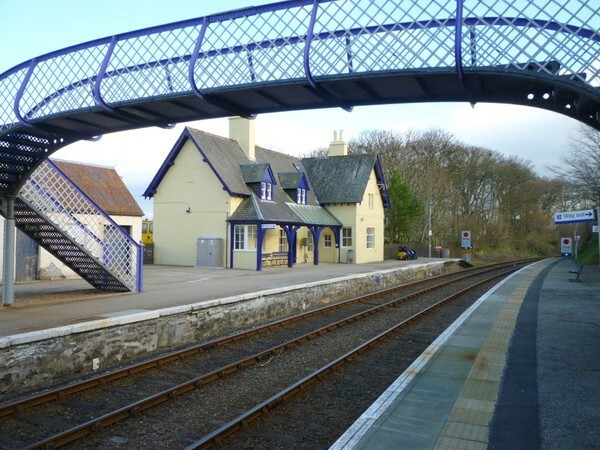 Helmsdale Station House is part of a category B listed group together with the footbridge (Highland Railway standard design, 1910) and the unusual platform signal box – still used by Network Rail for communications equipment. The old stationmaster’s accommodation comfortably sleeps eight: with four bedrooms (bedroom 4 accessed through bedroom 3); a large lounge in the former ticket office; kitchen; and downstairs wet room (DDA compliant). One settee in the lounge can be converted into a downstairs bed. There is a small garden attached. Discounts are given to those arriving by public transport, walking or cycling – such groups being more likely to support local shops and amenities. An additional discount is given to any group prepared to spend half a day in a week maintaining the waiting room and station grounds. 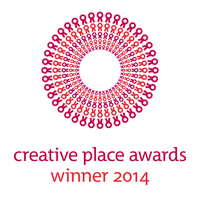 Further discount may also be available for small number groups – please enquire. Through a partnership with Sam’s Bike Shed, (https://www.facebook.com/SamsBikeShed) cycle hire is available at a small extra charge. Bickerton folding bikes, adapted with extended 27 gear range, ideal for carrying on trains, have been purchased by the station and are available to station residents via Sam’s Bike Shed at discounted rates. The accommodation is for weekly or shorter booking. Also available in the area at Rogart Station, four stops to the south, is Sleeperzzz, open from the beginning of March to the end of September where smaller unit and overnight accommodation is available in railway carriages, a fairground showman’s wagon and a bus: www.sleeperzzz.com . 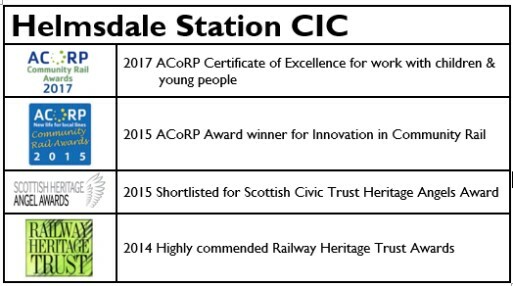 A 3 minute firm clip about the Helmsdale Station project has been made by Rob McDougall for the Scottish Civic Trust. This is available here.